I recently had the opportunity to spend a few hours with the Samsung Nx1. 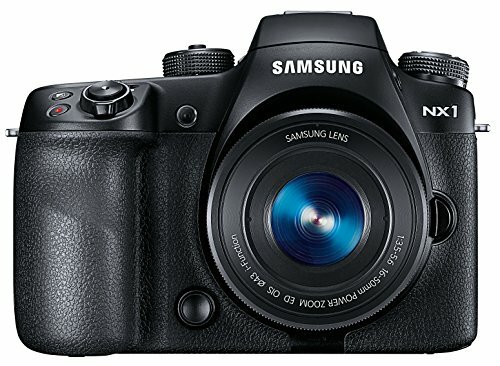 I was immediately impressed by the build quality of the Nx1. The magnesium alloy body felt great in the hand,with a nice comfortable grip and button layout.What is even more impressive is the EVF (Electronic View Finder).It's probably one of the best that I have used to date. The single most impressive thing about the Nx1 is it's ability take 15fps with continuous auto-focus.The Nx1 in burst mode takes photos so fast it seems as if your not even doing anything at all.Another handy feature of Nx1 is that places all your burst shots in one convenient folder.Probably my only complaint thus far is the F3.5-5.6 kit lens. It definitely felt like the kit lens was certainly holding back this camera from it's full potential. My second complaint which is quite minor one,is to make sure that you have a very fast sd-card.If your planning on taking regular still shots,then slower class sd-card will do just fine.However the bursts mode definitely requires and higher and faster class sd-card. All in all I didn't have enough time to form a full opinion on the Nx1. But I will have more in depth review on the Nx1 in the near future.